When it’s pumpkin season, you make pumpkin everything! Well at least that’s what I did! There is nothing better than buying and making meals from local ingredients when in season. By consuming foods that are local and in season, it is not only healthy on your pockets but healthy for you too! 😉 I can’t wait to share this Vegan Pumpkin Pie Cheesecake recipe with you as I’m sure you will fall in love with it just as much as I did! 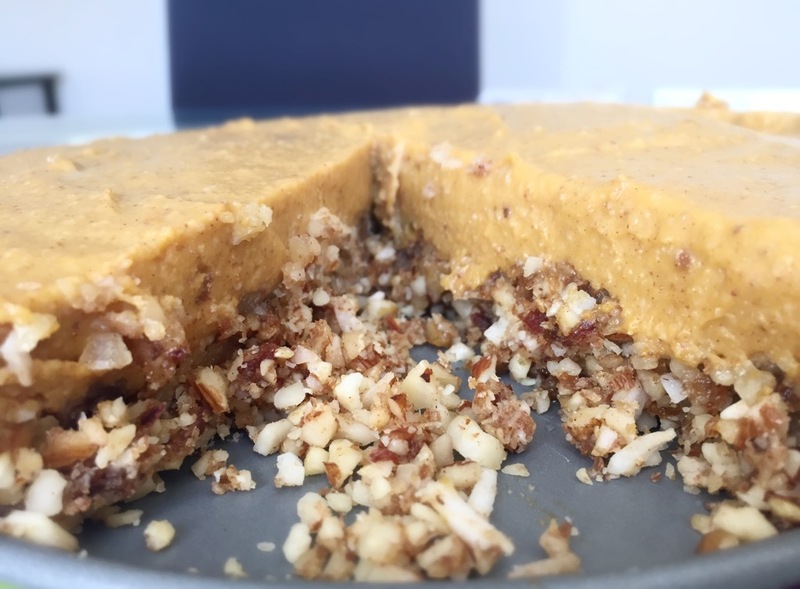 The base is made mostly from raw nuts and dates whilst the filling is a creamy texture of pumpkin puree (fresh might I add!) and pure maple syrup (the good stuff). 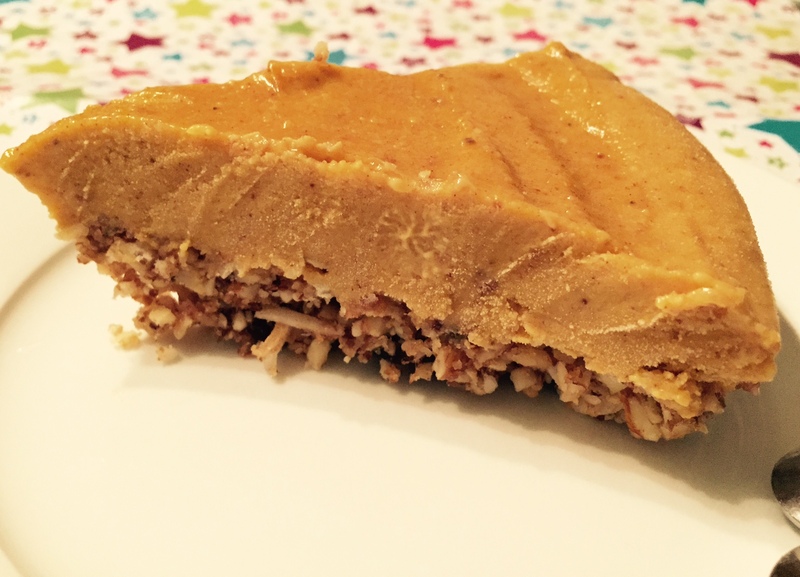 Combine the two layers together and it makes for a wonderful creation of a Vegan Pumpkin Pie Cheesecake. 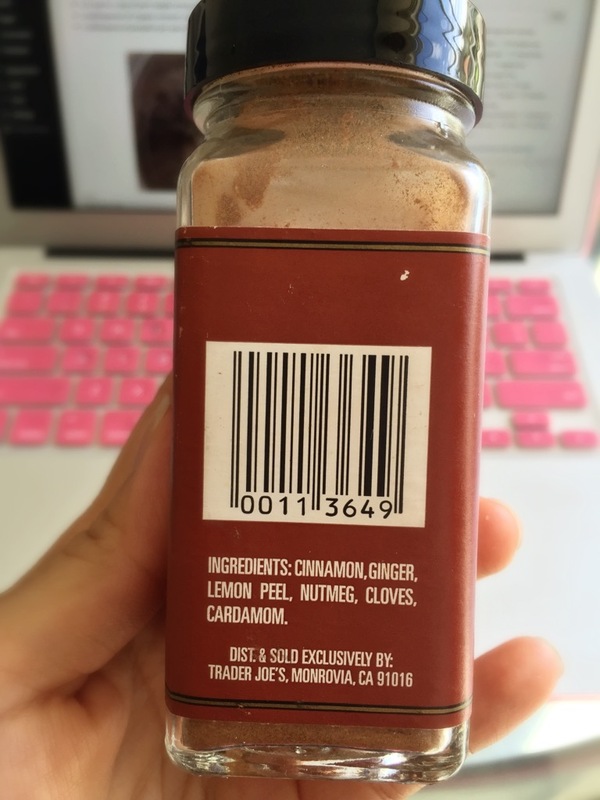 What’s so good about this recipe is that if you have any leftover filling, you can add some extra non-dairy milk and mix it up in a blender to give you a Pumpkin Pie Smoothie for later. Combine all ingredients in a food processor or high speed blender such as a Vitamix or Froothie Optimum 9400 until it is mixed well. The texture should be chunky and sticky dough-like. Use your fingers if it doesn’t stick well or add a dash of coconut oil if it doesn’t stick well. Pour the mixture into a spring form pan and press down to the bottom and spread evenly out to the sides. You can start making the filling while waiting for the crust to harden. 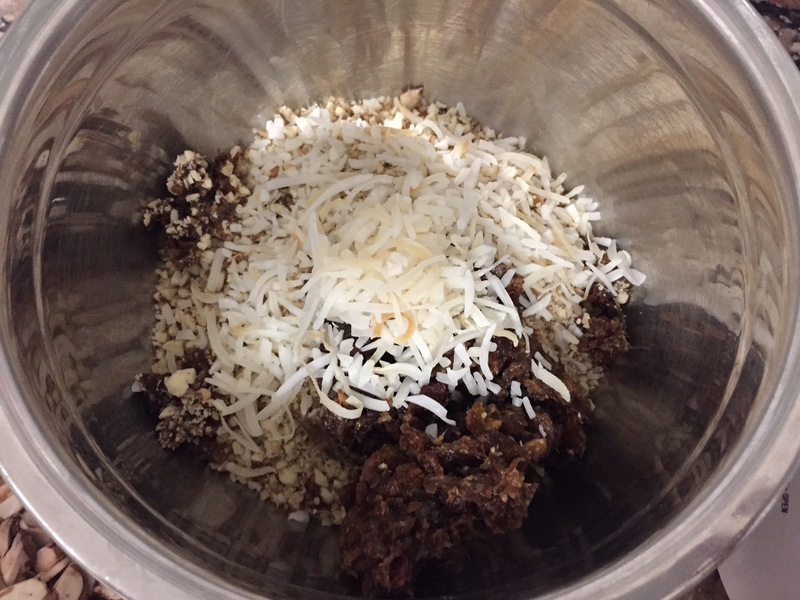 Set the mixture aside in a small mixing bowl in the fridge. After an hour of setting the crust, pour the filling into the pan and spread evenly. 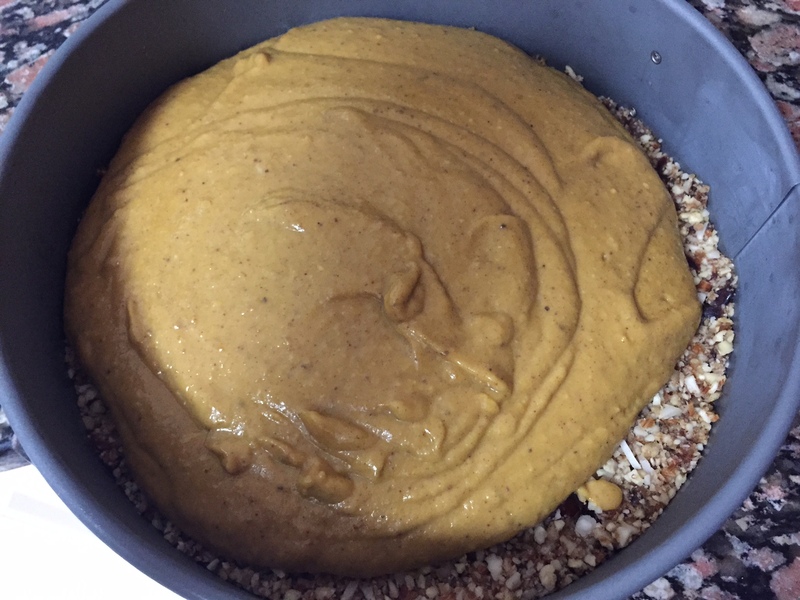 Freeze the whole ‘cheesecake’ in the freezer for another 1.5 hours and you’re ready to slice this bad boy up and indulge in some healthy pumpkin pie goodness! You may choose to garnish with some whipped coconut cream if you wish. It will also go well with some coconut ice-cream / yoghurt. Comment below and let me know how yours turned out! 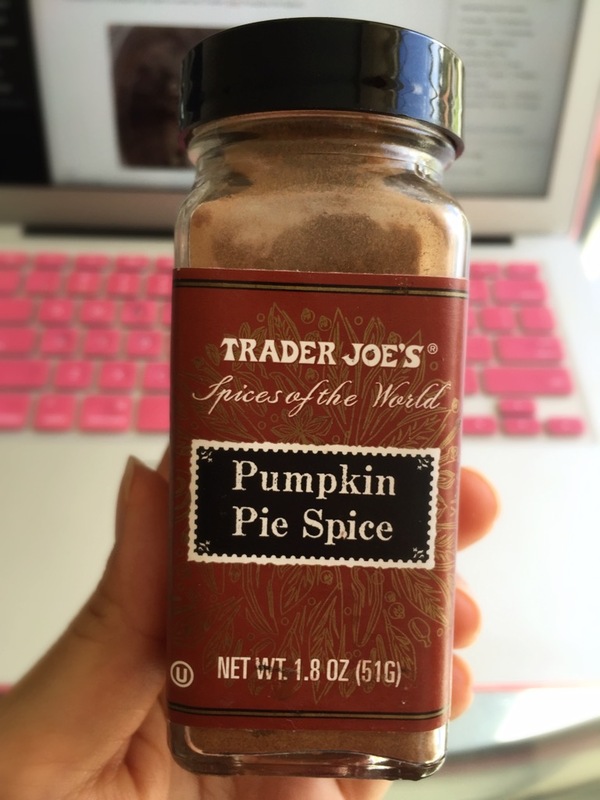 Better yet, share some of your pumpkin recipes with me! I would love to try them out and feature you on my blog!